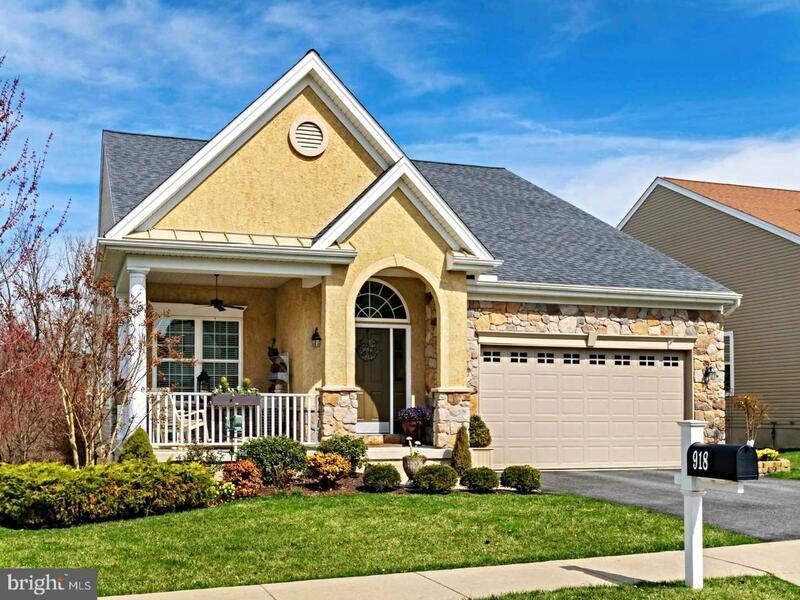 Another Fantastic Opportunity in the Gold Star Rated 55+ Community of Ovations at Elk View. This 9 yr young extended Aria Model is situated on a premium lot backing to wooded open space and allowing for a Daylight Walkout Basement! 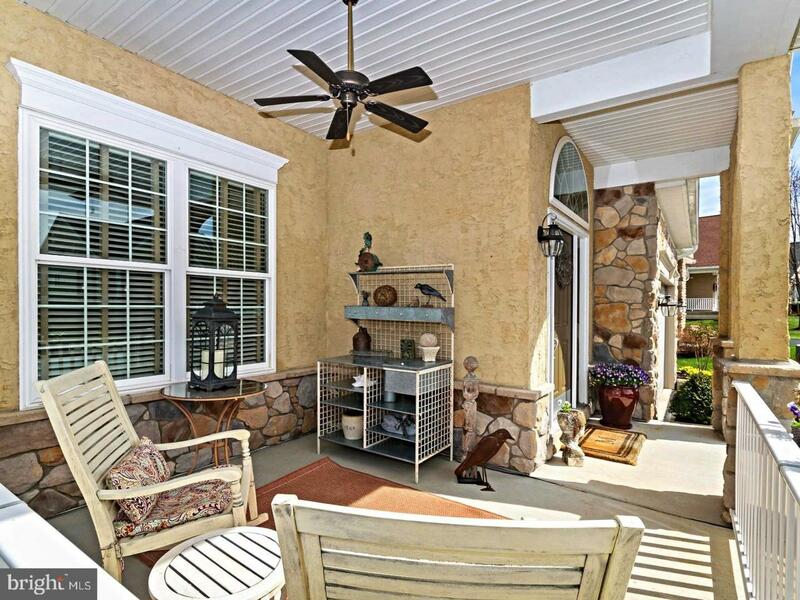 Pride of ownership is evident from the beautiful landscaping and plantings to the Welcoming Front Porch with outdoor Fan. 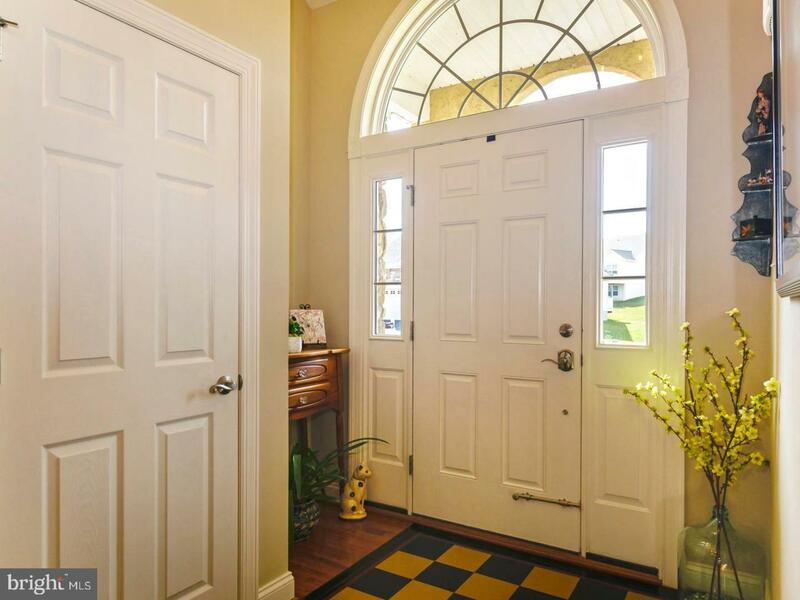 Entry Foyer, Large Palladium Window and added sidelights, Gleaming Hardwood Floors throughout the First Floor, 9 ft Ceilings, Custom Hand Crafted Light Fixtures, Formal Dining Rm with Stepped Ceiling and Crown Moldings. Gorgeous Kitchen features warm Cherry Cabinets, Granite, 2 Tier Center Island, Double Sink, Custom Subway tile backsplash, recessed lights, hand crafted chandelier, five burner Gas Cooking, open to Breakfast area which overlooks the Stunning Extended Family Room, Wall of Windows, Vaulted Ceiling, Fan, Custom Built In Bookcase, Gas Fireplace and recessed lighting! Door to a very Rare Custom Amish Built Screened Porch with Trex Decking, Cathedral Ceiling, Outdoor Fan and Overlooking Serene Wooded Vistas! Columned Archway Entry to Master Suite with Tray Ceiling, Chandelier, Berber Carpet and Abundance of Closet Space! Sumptuous tiled Master Bath with Dual Vanities, Soaking Tub, Tiled Shower, Custom Lighting, Mirrors and faucets! A large Second Bedroom with Berber shares a second Full Hall Bath with high vanity and new faucets and hardware! A Convenient First Floor Laundry Rm with added washtub and cabinetry includes Front Load washer and GAS Dryer! Entrance to a large Two Car GArage with Opener Completes this Level! 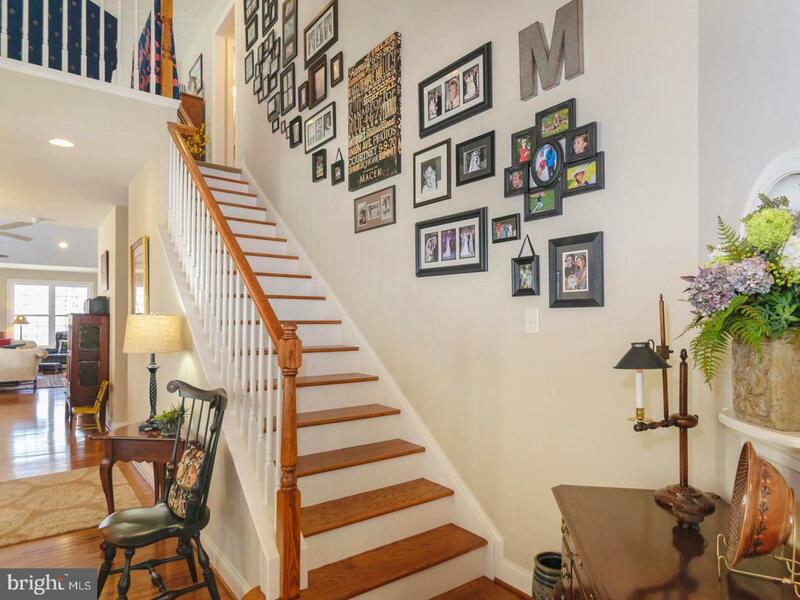 Make your way up the Open Hardwood Staircase to the 2nd Floor Loft area featuring berber carpet, recessed lights, ceiling fan and upgraded spindle rail overlooking Family Rm Below! This level also boasts a 3rd expanded Bedroom with berber, ceiling fan plenty of closet space! a 3rd Full Bathroom and additional Storage Closet completes this upper level! Bonus Full Daylight Walkout Basement , additional electrical Sub Panel Added and a PEX Plumbing System! Walkout to Stone Patio and additional garden area! This Home boasts an Efficient GAS Trane HVAC, Central Air, Gas Hot Water Heater and Security System. At Ovations You are purchasing more than just a Home, You are Purchasing a Carefree Lifestyle and as a resident of this 55 Gold Star Rated Community... you'll enjoy the Grand Clubhouse, Fitness Center, Sparkling Pools, Spa, Billiards , Library and More all for a Low HOA Fee! Welcome Home! Listing courtesy of Flatfee Vip Realty.